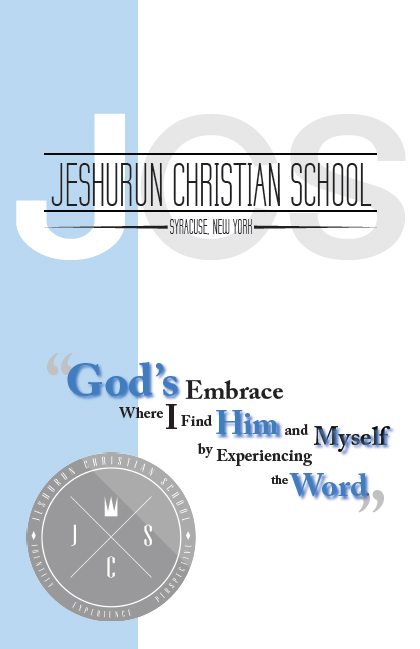 Welcome to Jeshurun Christian School! To obey one’s calling in life is not an easy path to follow. When I became a Christian, I myself had to undergo a rigorous process of development and learning in order to live an obedient life with faith. It was a long and difficult journey as I tangibly experienced and struggled with what the Holy Spirit taught me through Scripture. I was faced with realistic and practical difficulties in my life regarding the issue of financing my sons' education. It was through such a process and series of experiences that I began to think about and became interested in missionary kids (MKs), the children of God’s servants who follow His calling. As me and my wife faced the challenge of our first child’s admission to college, learning to surrender and put our complete trust in God was by far the greatest test. As I held on to my faith and the goodness of God, I earnestly cried out this prayer in my heart: “If you, then, though you are evil, know how to give good gifts to your children, how much more will your Father in Heaven give good gifts to those who ask him!” (Matthew 7:11) These words continue to echo in my ears till this day. Our God who instructs, has demonstrated that necessary opportunities to receive education are always provided for His children. God has allowed me to understand and pray about the importance of saving the single soul as much as taking care of and educating the children of God’s servants who have dedicated themselves to Him. Now, the time has come for us to take the first step. We are starting a highschool, characterized as God's embrace, where missionary kids no longer simply follow their parents’ faith but encounter the living God themselves and forge a personal relationship with Him as they take ownership of their faith. Our goal for this school does not lie in numbers. Rather, our heart is for the one person, the single soul. Jeshurun Christian School (JCS) is not an educational institution established according to the world’s standards or requirements. We are praying and waiting for God to send the students who are led to this ministry by the voice of God. Just as the Heavens are higher than the earth, JCS is founded according to God’s will and His ways. Our dream for JCS is to foster and educate MKs who can overcome the world and remain victorious as conquerors of faith. May the grace and peace of God be with you.